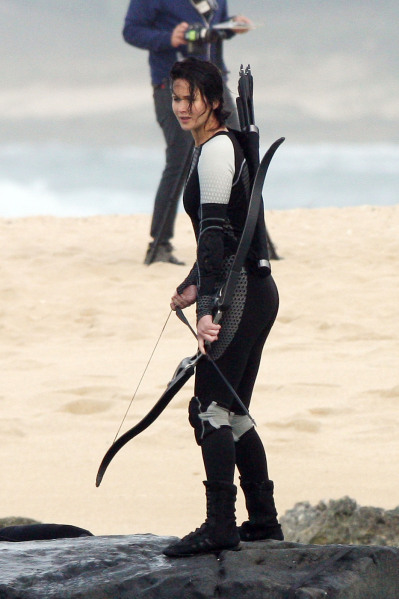 "The Hunger Games," which was released on March 23, 2012 in the United States, was a huge success. It was a science fiction action/adventure tale that told the story of Katniss, a teenage girl who volunteers in place of her younger sister to participate in a mandatory survival-of-the-fittest annual affair called "The Hunger Games." The story is set in a post-apocalyptic world in which a tyrranical government controls twelve subsidiary districts, each of which must send two teenage representatives to the Hunger Games each year. Katniss and her male partner from her district, Peeta, win the competition, killing off all the others, and show strong signs of having a deep love affair. 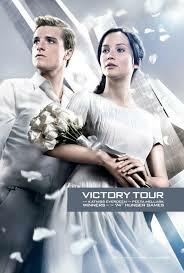 This is the first poster released of the "Victory Tour." 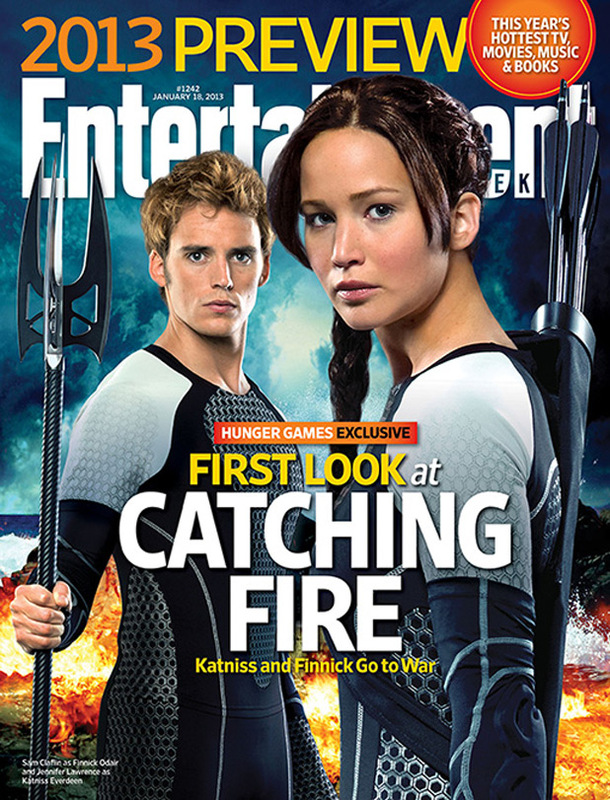 The sequel will revolve around Katniss and Peeta going on a victory tour for President Snow. They sense a rebellion may be brewing in the 12 Districts against central authority. Meanwhile, the Capitol prepares for the 75th Annual Hunger Games - The Quarter Quell. There is not much known about the sequel beyond this cover story. 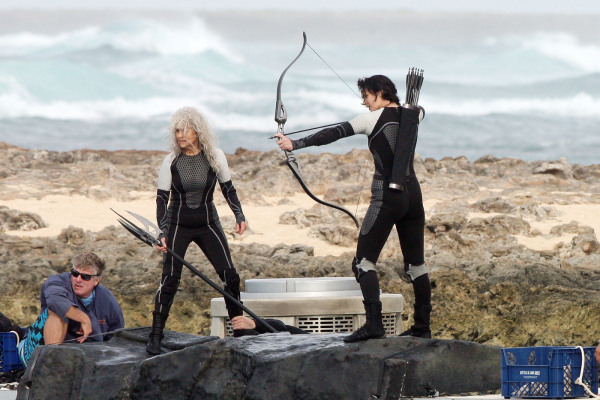 James Newton Howard returns to do the score for "The Hunger Games: Catching Fire," and the screenplay was prepared by Simon Deaufoy and Michael Arndt. The Producers are Nina Jacobson and Jon Kilik. 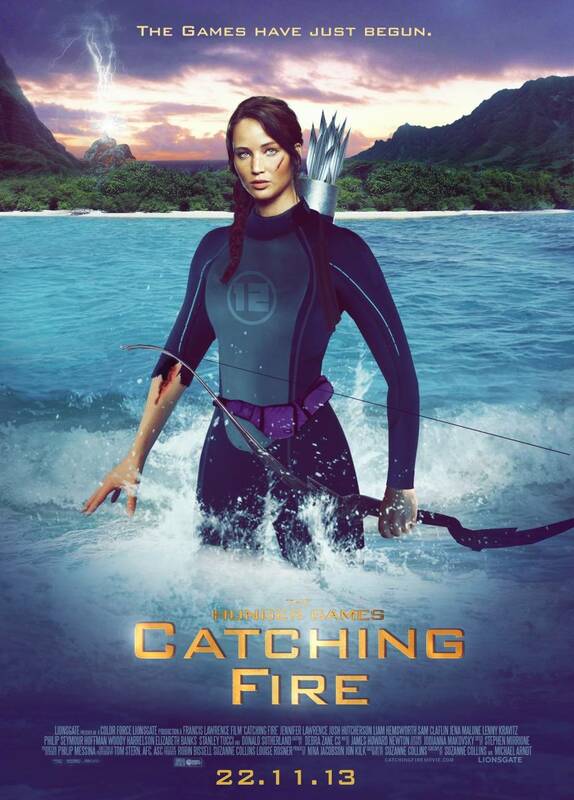 "The Hunger Games: Catching Fire" is based on the book "Catching Fire" by Suzanne Collins. 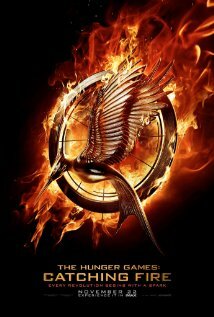 This is the official logo released by Lionsgate. "When you see us go up in the pod in the games, it will open up into IMAX. It will be amazing. 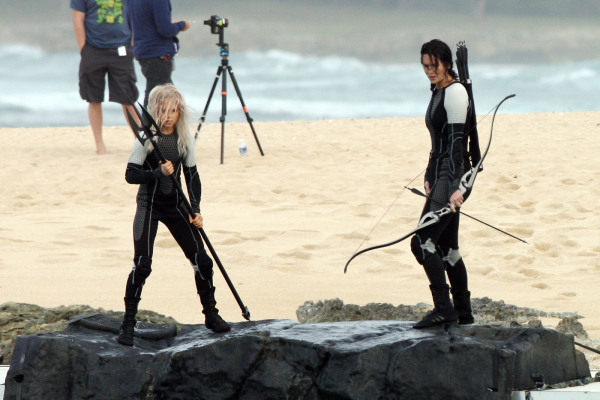 It's very cool,"
Filming is currently in progress as of January 2013. Principal photography is scheduled to wrap in March 2013. The locations used are Atlanta, Georgia and Hawaii. A couple of teaser trailers already have been released and you may watch it below.